He was the thief of sunflowers, gathering them via rapid brushstrokes. Vincent van Gogh was one of the most prolific and influential of the Post-Impressionist painters, producing over 2,000 paintings and drawings in just over 10 years in the late 1800s. When he lived in Arles, van Gogh painted canvas after canvas of sunflowers. He had vases with three, five, twelve, or fifteen of the blooms with backgrounds of different colors. These striking images didn’t earn him great recognition—or wealth—at the time, but one sunflower painting was auctioned for $39 million in 1987. Van Gogh, the Sunflower’s Thief, a statue by Gabriel Sterk outside the van Gogh museum in Saint-Remy. 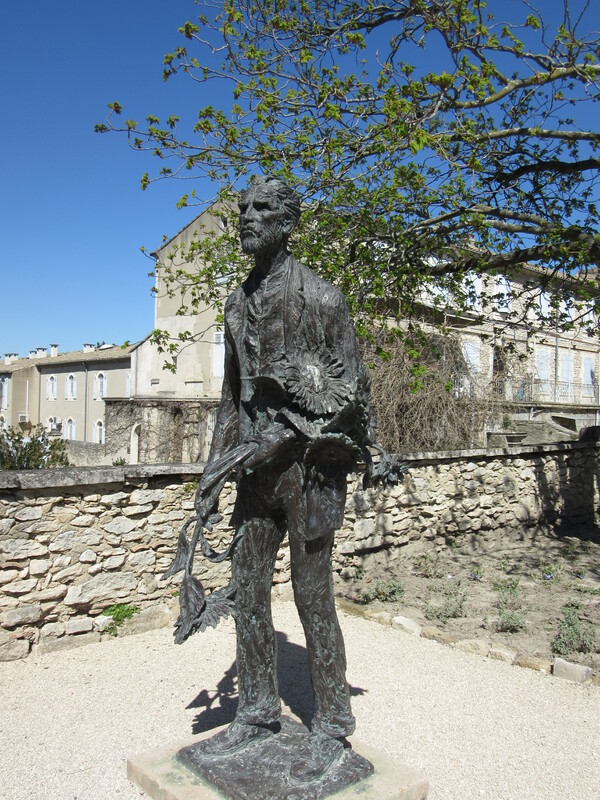 Van Gogh spent a year in Saint-Rémy-de-Provence, self-committed to the Saint-Paul de Mausole mental home for treatment of depression. 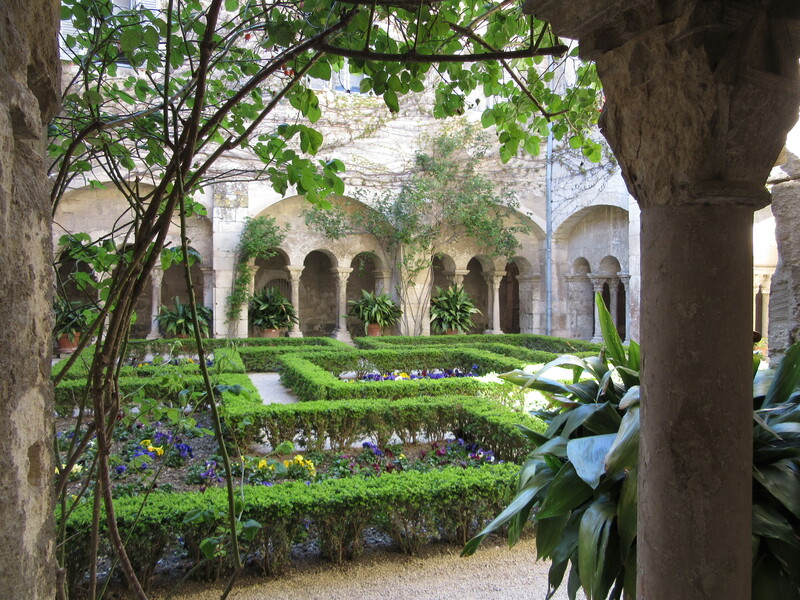 Here amid olive orchards, cypress trees, and flowering gardens, he painted some of his best known works. Along Avenue Vincent Van Gogh, posters of his most famous works are displayed on the way to the asylum as an art appreciation walking tour, “Walking in the universe of Vincent van Gogh.” Naturally, we followed the walk, trying to imagine ourselves in the artist’s footsteps. 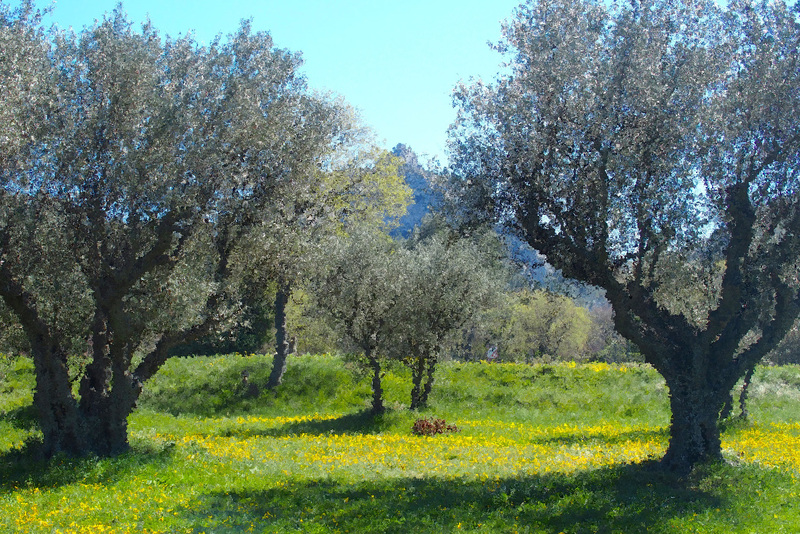 The olive trees. France had and still has many of these trees. 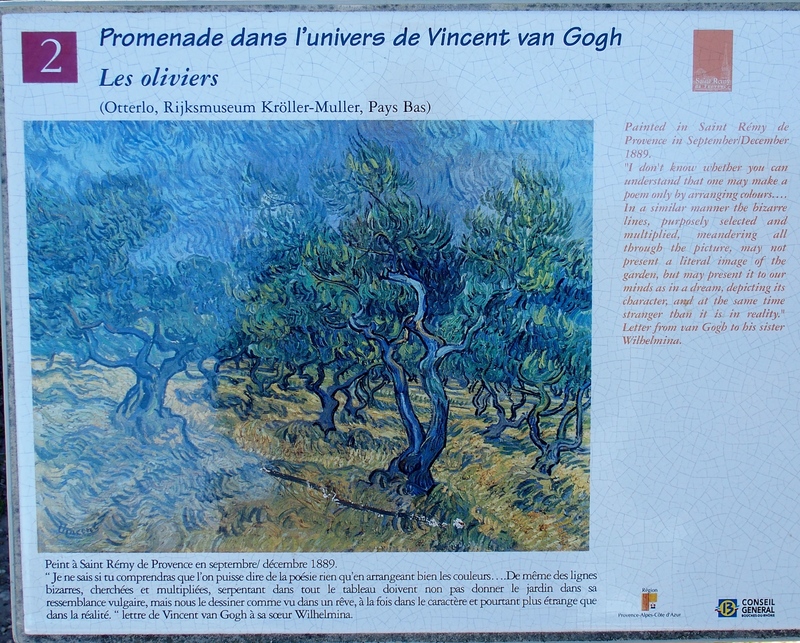 Here are some of the actual olive orchards van Gogh may have seen. With a bit of help from digital manipulation, they start to take on an Impressionist appearance, even in photos. 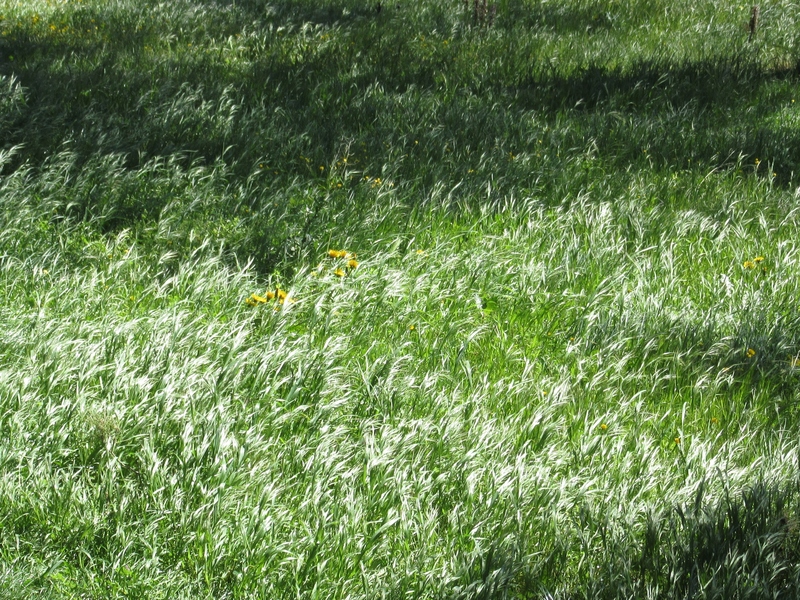 The winds, perhaps remnants of the mistral, blow the grasses and flowers, creating brushstrokes in nature. Is this what influenced van Gogh’s characteristic swirls? 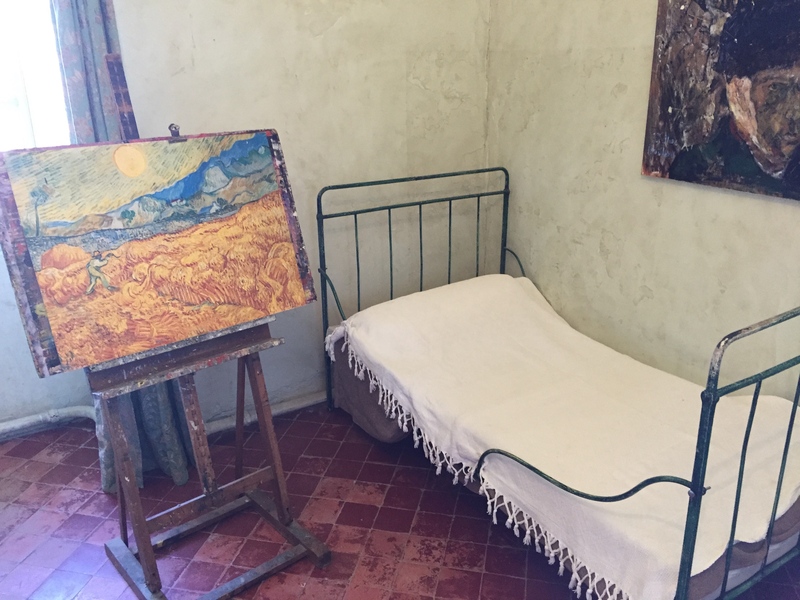 This is van Gogh’s painting of the room he had occupied a year earlier in Arles. 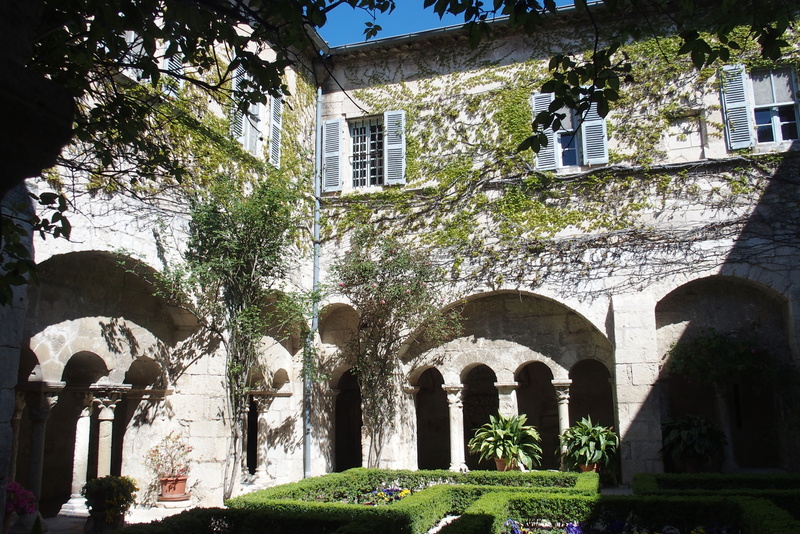 The room in the Saint-Remy asylum was small with very sparse furnishings, but just enough room to paint, actually quite similar to his room in Arles. Today’s view out van Gogh’s barred windows. 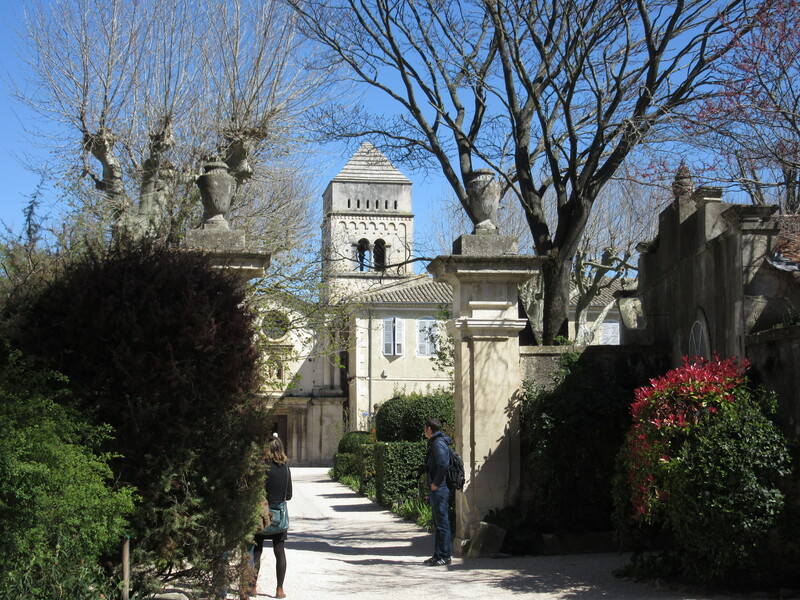 The view back toward the asylum and van Gogh’s bedroom on the upper floor. The lavender will blossom in a month or two. 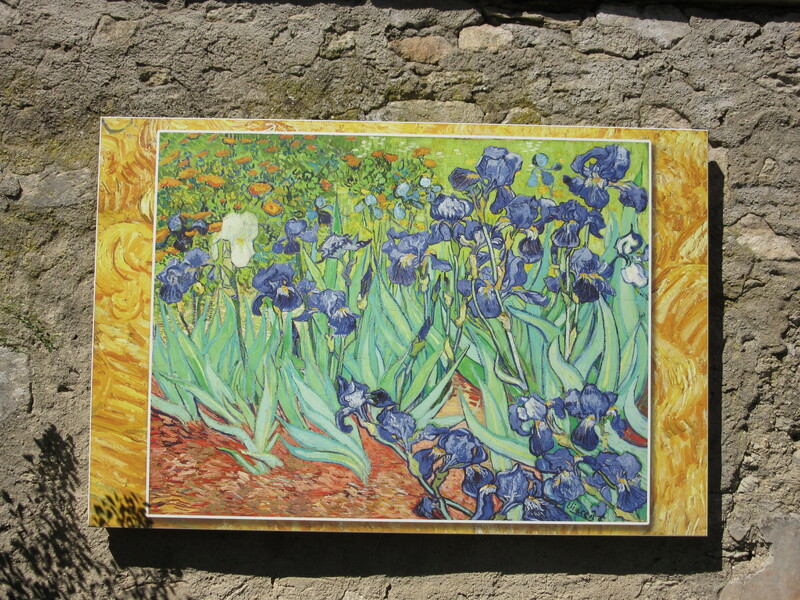 Even more popular and expensive (now) than van Gogh’s sunflowers are his irises, also painted in Arles. This painting sold for $54 million in 1987. 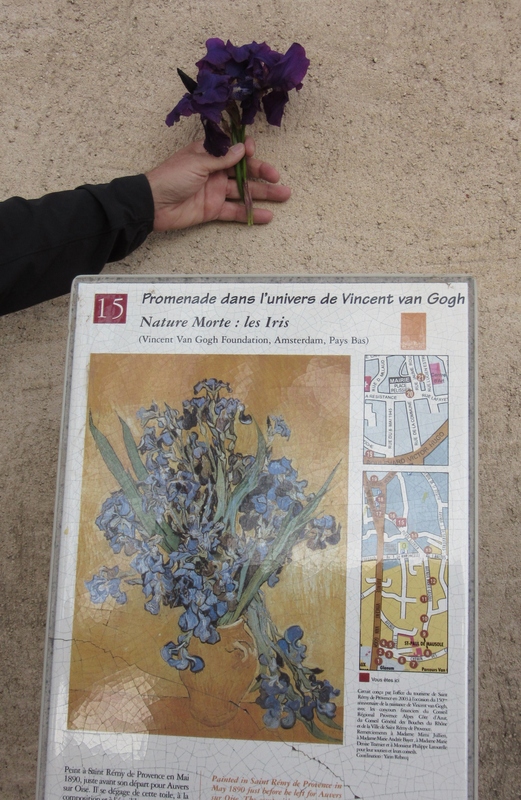 With van Gogh’s brushstrokes, the irises came to life on canvas. 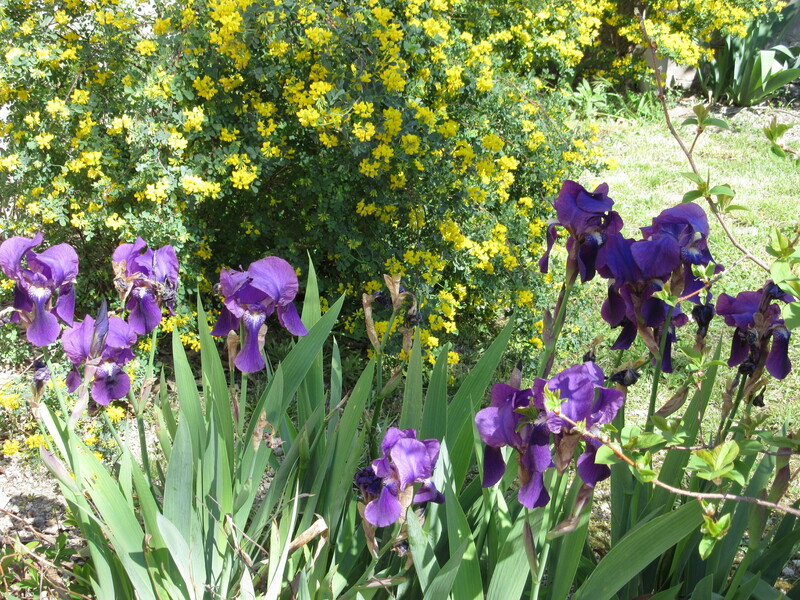 Now the irises are in bloom in early April in Saint-Remy. 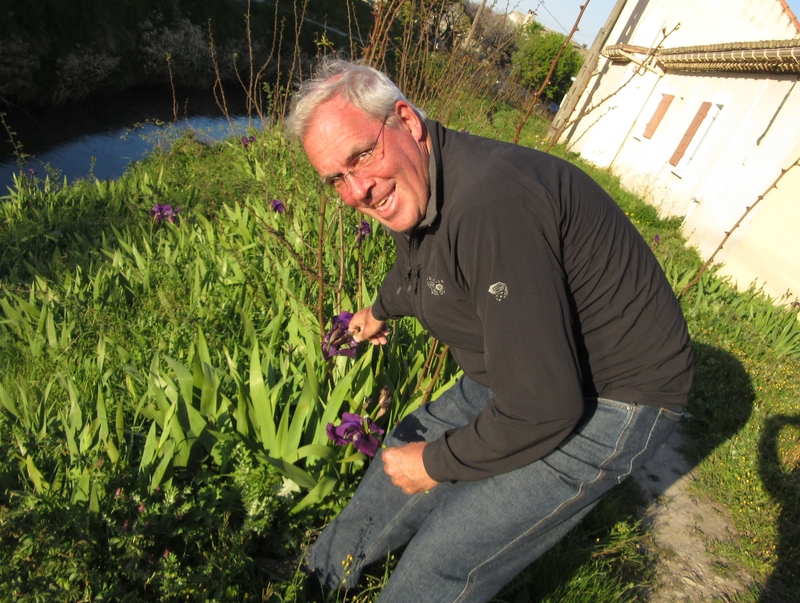 We found a modern-day thief of irises in Saint-Rémy-de-Provence. But where is your paintbrush, Monsieur Artist? Ah. 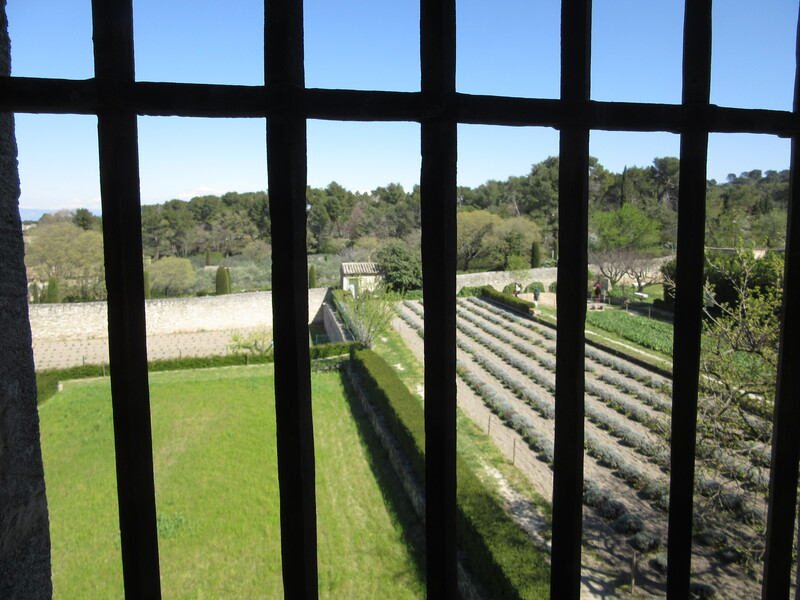 You have copied the grand master in 3-D.
Van Gogh’s asylum today has a beautiful setting with a central courtyard filled with colorful flowers. 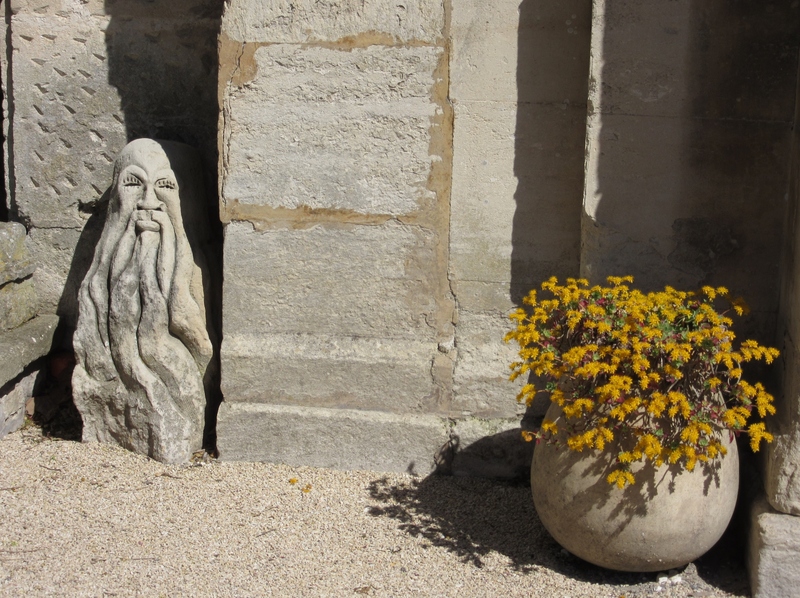 Outside the entrance, this ghoul, reminiscent of Edvard Munch’s Scream, stands behind bright flowers, perhaps symbolizing van Gogh’s inner torment behind the beauty of his paintings. Along with his melancholy and despair, at times he felt euphoric. 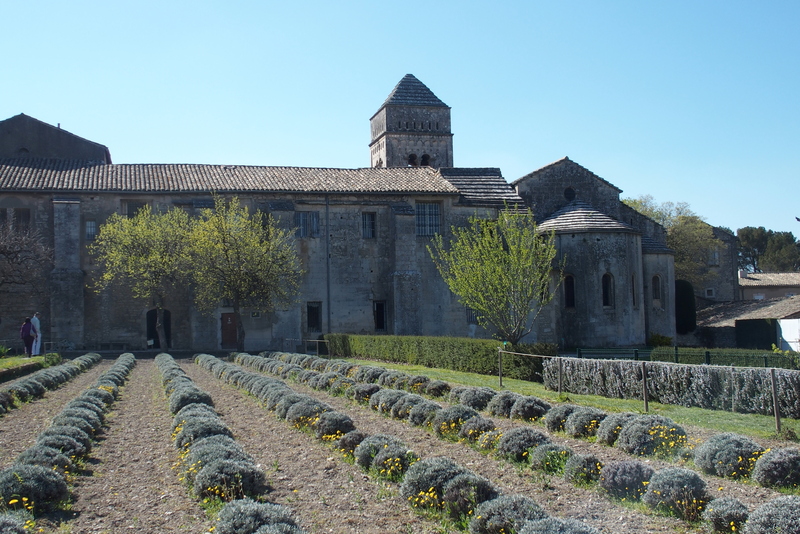 He wrote to his brother, “During my delirium so many pleasant things go through my mind.” Whether experiencing a melancholy or pleasant phase, he created this masterpiece while in Saint-Remy. Van Gogh eventually felt that he had recovered and was ready to return to society. He left the asylum in May of 1890 and continued painting at Auvers-sur-Oise, where he completed a painting a day for 79 days. Then in July he shot himself and died within two days. He sold just one painting during his 37 years on earth, but will live forever in history as one of the world’s greatest painters. 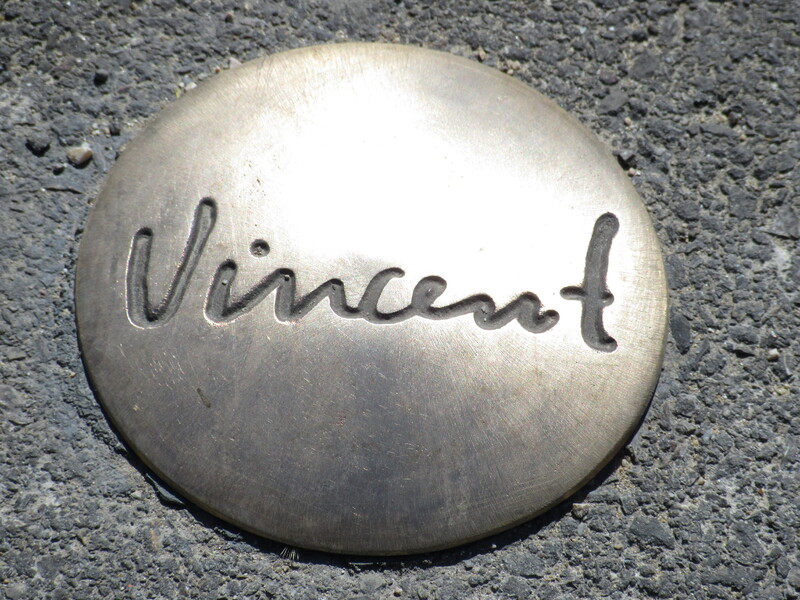 Shining spots along Avenue Vincent van Gogh. 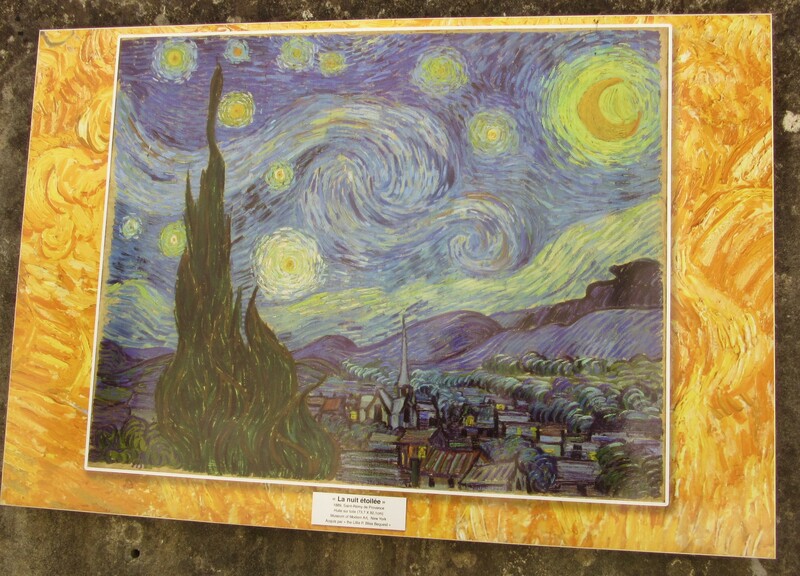 This entry was posted in Smell the Roses and tagged art, France, painting, Saint-Remy-de-Provence, Vincent van Gogh. Bookmark the permalink. I am so glad that the last time I was on the blog website – I signed up for getting emails everything you blogged – I have been unable to get on for the last few days (was trying to leave a message on the beautiful and colorful Provence post and have been locked out – I’ve changed the password so many times that I can’t remember it! Love your posts – just want you to know that! And, the pictures are really amazing! Thanks for the compliments. You’ll be seeing some of this yourself soon.